Halifax is the fourth hottest property market in Yorkshire, one of the hottest markets in the UK, according to research by online estate agents Housesimple.com. Housesimple looked at the most up-to-date Land Registry data on monthly property sales since the start of 2018 and compared total sales in the quarter May to July vs February to April. 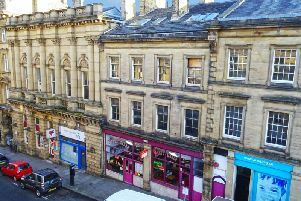 Halifax is the fourth hottest property market in Yorkshire according to research by online estate agents Housesimple.com. Halifax has seen house sales rise by 14.6 per cent during these two quarters, two per cent higher than the region as a whole. Harrogate has seen the biggest rise in sales during these two quarters than any other major town and city in Yorkshire. 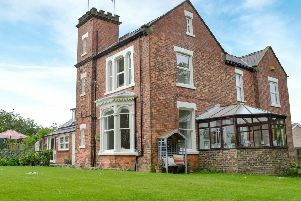 Across the entire Yorkshire and the Humber region, property sales were up 12.1 per cent comparing these quarters - that’s four times higher than the increase in completed sales across the north of England (three per cent) as a whole. Sam Mitchell, CEO of online estate agents Housesimple.com, said: “Yorkshire typifies how the landscape of the UK property market has been turned on its head in 2018. While the south of the country has caught a cold, the north is witnessing a mini housing boom. And Yorkshire is the shining light in the north with affordable property and strong local economies driving a healthy level of sales.